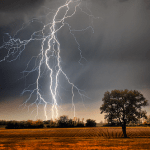 Summer storms are here and, with them, come lightning and power-surge damages to our electrical devices. ARCCA Expert Michael Brinker recently had an article published in the CLM Magazine June 2018 issue regarding the impact of direct and indirect lighting strikes. You’ll want to read it before the next storm arrives. Click here to view his full article. In addition to investigating damages from power surges or failures, Michael Brinker, P.E., who is a Mechanical Engineer at ARCCA, has years of experience investigating electrical and mechanical failures of appliances/products, industrial equipment, construction equipment, elevators, HVAC systems and fire suppression systems. To learn more about Mike or to contact him, click here.